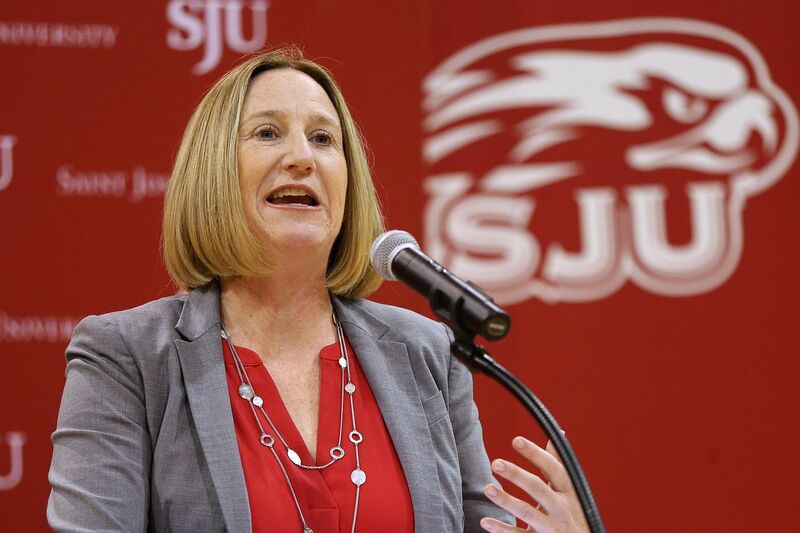 Jill Bodensteiner, first-year Saint Joseph's athletic director, understands the value of communication, and she's using it stay in touch with fans of the athletic teams on Hawk Hill. Bodensteiner, who replaced long-time athletic director Don DiJulia, begins a biweekly podcast on Wednesday called "Jill on the Hill." The show will feature segments with current St. Joe's coaches and student-athletes plus ones with SJU alums or important figures in the sports industry. Bodensteiner also will offer commentary on pertinent issues and concerns in college athletics. "Jill on the Hill" will be available at SJUHawks.com or can be subscribed to on iTunes, Google Play Music, or most podcast apps.